Looking for a charter bus in Athens, GA to take you and your group to a game? Are you in need of travel arrangements to an Athens wedding, field trip, or corporate event? 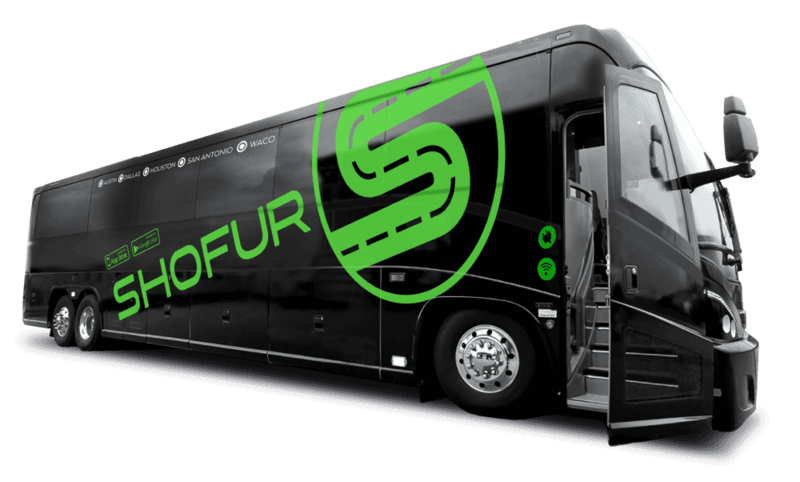 No matter the occasion, Shofur will find the perfect bus for your group at the best price. Call today to speak to one of our reservation specialists! No matter what brings you into or out of Athens, trust Shofur to effortlessly transport your group wherever you need to go. We’re experienced in transporting groups to a variety of events, from weddings to college tours to business meetings and more. Call our 24-hour reservation specialists at 1-800-436-8719 to get started planning your travel arrangements today! Bring your students on a tour of the University of Georgia with a private minibus. Enjoy personalized travel accommodations and an experienced driver who will handle all navigation while you focus on exploring your future home. Your driver will make sure you arrive on-time to your group tour, take you on a spin through campus, and bring your group to the top local restaurants so that you can experience all that The Classic City has to offer. Bring your students into Athens for an unforgettable field trip at the UGA Special Collections Library, the Georgia Museum of Art, or your favorite local educational stop. Book a private charter bus for a nice break from old, outdated school buses. You can enjoy air conditioning, on-board entertainment, and on-board restrooms to keep all students, teachers, and chaperones comfortable throughout your field trip. Leave the navigation to a professional and experienced driver while you focus on providing the best experience for your students! If you’re planning a corporate gathering at the Georgia Center or another local venue, let Shofur set up a private shuttle service just for your group to ensure that everyone travels safely, arrives on time, and avoids getting lost. Outfit your shuttle with modern and stylish add-ons like WiFi, air conditioning for the Georgia heat, sleek interiors, plush seating, and more to leave a lasting impression at your event. No one will need to navigate Athens on their own, call their own rideshare services, or walk to your event. Your seminar, meeting, or offsite event will always be a success when you book with Shofur! Planning a wedding in the Classic City? We’ll help streamline all transportation between your hotel, ceremony, and reception for a smooth and stress-free event. Request an all-black or all-white shuttle bus to match your decor, and enjoy private travel arrangements between all venues at the hands of a professional and experienced driver. Guests can enjoy WiFi, auxiliary plug-ins for on-board music, and air conditioning while they ride in comfort to all of your wedding events. No matter how crazy the party gets, you’ll also be guaranteed a safe ride back to your hotel at the end of the night. Whether you’re a player, a coach, or a dedicated fan, we’ll make sure you enjoy every part of the next game day with reliable transportation to all sporting events. We’ll put together a fleet of coaches for your team to ensure that everyone can relax, sleep, and gear up for the big game while on the road. Spacious storage bays and overhead racks provide plenty of room for luggage, equipment, and carry-ons, leaving the aisle free of clutter. Or, if you’ve got a group of fans coming in to support the Dawgs, let us find a minibus that’s just right for you. Store coolers full of snacks and drinks, tents, and more game-day tailgating essentials right on your bus. When the game’s over, we’ll make sure you return home safely. Call Shofur’s 24-hour reservation specialists today at 1-800-436-8719 to book your Athens travel! We’re always happy to answer any questions you may have and reserve your perfect transportation. Give us a call today to get started. Shofur helped our Sorority get buses last minute for a formal. Thank you for everything! If anyone from UGA needs buses again the in the future we'll give them your company. Do you travel from Athens to Atlanta GA? Our sorority formal is coming up ? Yes we can arrange to pick you up from Athens,Ga and drive you to Atlanta,Ga.